This is a tag for a Secret Santa gift. 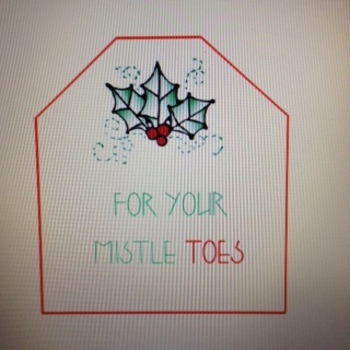 The tag reads "For Your Mistle Toes". It is intended for the gift to be nail polish.